• Whether geographic location affects the behaviours of young LGBT+ people. The survey will run from 30 January 2019 until 11 April 2019. ​The British LGBT Awards will publish the headline findings and a summary report of the LGBT+ <25 survey, before meeting with the Advisory Board and Steering Council to review the findings and set out the next steps to take in response. If you grew up in the latter part of the 20th century, you’ll know how far the fight for LGBT+ rights has come. These days we have better laws and protections, we see ourselves more in film, on TV, in senior positions at work and most schools have positive attitudes towards LGBT+ inclusion. Whilst Britain’s laws have changed to aid LGBT+ equality, media is now inclusive of LGBT+ role models and more work is being done in schools to help young people’s perspectives on LGBT issues. How much has it really improved the lives of LGBT+ youth? British LGBT Awards will make young people its main focus for 2018 onwards, by identifying trends surrounding Britain’s young people. How has a changing Britiain impacted this demographic? LGBT<25 aims to better understand what the needs of LGBT Youth are through a survey. We then hope to increase philanthropy and giving, proactively raise funds and distribute them to LGBT+ projects and initiatives across the UK that support those needs. We are also looking at potentially creating a platform where members of the public can donate, in addition to private fundraising events. We are in the process of setting up a foundation to distribute money to underfunded relevant charities. The board of trustees will devise a robust application process and charities have been informed that they can apply in 2019. The British LGBT Awards itself is a non-profit organisation, as is LGBT <25. We have raised over £20,000 so far from our art exhibition, which showcased LGBT+ artists. Further fundraising events will be held throughout the coming year. We have a target to raise over £100,000 in the coming year (2019). This money will be pledged directly to help young people in areas which have been outlined from the report and where they need it the most by aligning to existing charities and providing much-needed resource. British LGBT Awards’ database of those under 25s is now over 130,000, along with the help of the media, Pride and other community organisations and key charities, we aim to better understand the key struggles facing the young LGBT+s. • Coming out: Do young people still struggle to come out? How much does internal discrimination within the LGBT+ community impact this? Based on the report, we will carry out further awareness and campaign work where it is needed using the British LGBT Awards platform and collaborating with our celebrity friends, media partnerships and, where necessary, links with Government. We are stronger when we are united. We aim to bring together community initiatives, charities and support services together to better understand what will help young people, alongside influencers and young people, which is essential to drive change. 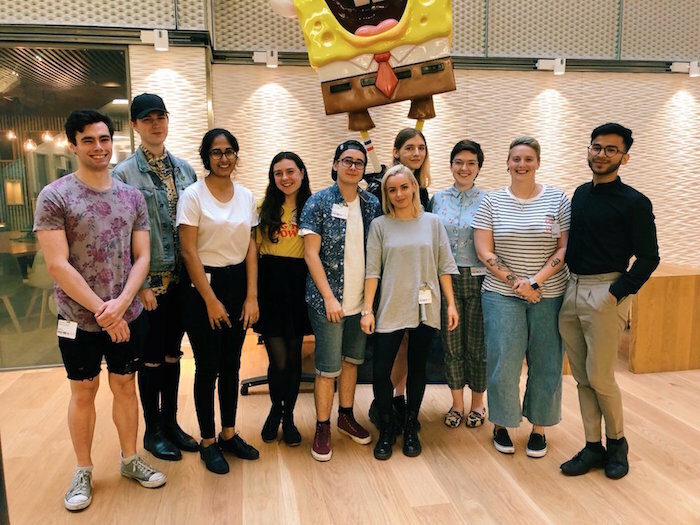 During the latter part of 2018 we interviewed a diverse population of 50 young people who identify as LGBT+ to gather insights on areas where young people struggle and to help shape the survey. It was also found that young people from different areas throughout the country vary in their struggle to come out. Those who live in more rural areas found it more difficult to be out within their local community. The British LGBT+ Youth <25 initiative aims to determine and address the issues facing LGBT+ youth in Britain today.